It's tough to deal with abusive comments that keep coming every day. There are regular such emails and comments on the posts. Most of these guys don't even bother to read the posts and it appears they are full of hate towards Islam and Muslims. I was forced to start moderating comments sometime back when I felt that almost every day I was getting such comments that used to hurt and unsettle me. Often, they are full of so much hatred that you shudder and think, is this real? How much percent of people in this country hate Muslim and do they really hate us so much? Then I would always console myself that cyberspace is different from normal world. Here people who don't have the cheek to say or do anything openly, can make anonymous comments or send emails, and they are a handful of people who keep doing that regularly and makes you feel that there are so many Islamophobes. You write a post on harmony, the ganga-jumni culture and then you get an email that starts with 'Saale Kat*&*' and keeps on telling you every atrocity which he believes Muslims have committed on him and his ancestors interspersed with English and Hindutani gaalis. I feel bad, very bad. No matter how much you think that you won't give a damn to them, the fact is that everytime you get such a mail or comment, it hurts. Sometimes when it is terribly abusive, you feel why not get this guy tracked and booked for his action. After all, if someone abuses you openly on the street, it is tough to act against him legally but if someone sends you an email or writes an abusive post, it is possible to teach him a lesson that he will not forget. The evidence is strong, the IT [Information Technolog] Act makes any such crime punishable and the sentence is much more but nobody bothers. Sometime you feel you should take the lead and get a few guys caught. At least, this will send the message across. Racism and hatespeak aren't taken seriously in India yet and people often forget, but it's a serious crime. If you hate me just for being a Muslim and will keep calling me names, it is irrational. You can write in proper and decent language. Anonymity gives you freedom to abuse. You don't fear that a friend of you, who is a Muslim, may come to know that you have such deep biases. But if you are courageous enough, why don't you stop every passing Muslim on the street and abuse him. I still want to believe that such guys don't form more than 1% of the populace. Write your full name, address and also post your photo, if you dare, in forums, sites and blogs. Else talk in a civilised way. Blame me, be critical but enough of abuses. Don't wear the mask of anonymity to spread hate on internet. Sometimes I really wonder, what could be the cause of such deep hate? Today there are bombs exploding and Islam is linked to terrorism. But why was such a similar hatred, 16 years ago or even before that, when Babri Masjid was destroyed and when Muslims were openly abused. 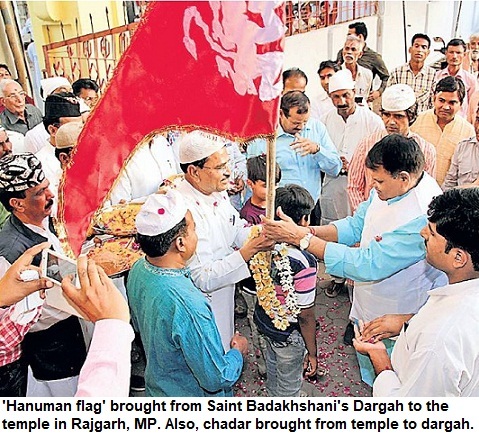 Tab Tushtikaran thaa...the so-called appeasement of Muslims by politicians. And people had suddenly become such experts in history that they could tell you how many atrocities Aurangzeb and Babur had done on Hindus in this country. Even then, it was not easy for Muslim to get a house on rent (I am not talking about jobs or any other thing).